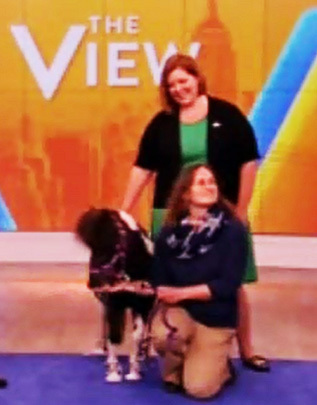 Mary Margaret Callahan volunteer and spokesperson with Pet Partners joins the View May 18 2015 with her therapy dog, a very young cancer survivor and a mini horse. Pet Partners also use rabbits, cats, guinea pigs as therapy animals. The View May 18 2015 mini horse with handler Candy?